It should be no surprise that the Twin Cities are home to some of the best poets in the country, spoken-word or otherwise. We’re particularly lucky to have Ed Bok Lee and Bao Phi, both of whom just released new books through Coffee House Press. If you like poetry, spoken-word or just good writing in general, you need to know these names. They’ll be having a joint book release reading on September 24 at the Minneapolis Central Library at 8pm. 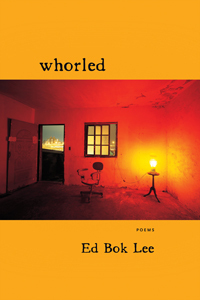 Ed’s new book is called “Whorled,” and it picks up right where his last book, the excellent “Real Karaoke People” left off, with gorgeously-written lyric poetry next to prose poem storytelling, a dense multitude of characters, scenes, stories and moments, an unflinching exploration of the places where the immigrant narrative and the “America narrative” collide, overlap and devour one another. The capital-p Poetry here is breathtaking. Coming from a spoken-word background, I tend to value content and how the writing serves the central thesis of a given piece more than the pure lyric qualities of the poetry. But Ed does both extremely well here—the writing is unpredictable, formally-challenging and downright pretty, but it also communicates. This isn’t art for art’s sake, but it’s as good (in a traditional sense) or better than most poetry that does identify like that. And that’s no small feat. Highlights include “If in America,” a gut-punch of a poem exploring the 2004 Chai Vang case (video above), “Ode to Bruce Lee,” a deceptively complex meditation on race, masculinity and culture, and the sprawling, powerful “Whorled,” which creates connections between language and history, between human communication and inscrutable time itself. It’s a hell of a read. Sherman Alexie and Li-Young Lee think so too, if my word isn’t good enough for you. Here’s a purchase link. Bao’s debut collection, “Sông I Sing,” hit me in a different way. 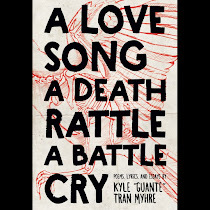 The poems here, at least to me, read like spoken-word pieces, and Bao’s understanding of structure and emotional arcs mirrors some of the tricks that we use in the slam world—for example, each of the poems in this collection has a knock-out last line. The result is an incredibly emotional journey through the issues that Bao explores—but it’s emotion that’s grounded in quality writing and thoughtful political analysis, not just raw melodrama. Again, that’s no small feat. If Bao ever decided to re-enter the slam world, I think he’d kick all our asses. The highlight here is probably the section called “The Nguyêns,” a brilliant and even-more-brilliantly-realized concept that looks at over a dozen unrelated characters all with the same last name. These characters each own their culture(s) and struggle with their identities in different ways, and the result is a moving (in both senses of the word), impressionistic portrait of Vietnamese America. Other poems like “Race,” “Giving My Neighbor a Ride to Her Job” and more talk about race and racism in this country in a way that is eloquent yet unforgiving, righteously angry yet never once weighed down by the sensational histrionics associated with so much spoken-word. The best poetry is transformative—it breaks you down, changes you, makes you see the world in a new way. 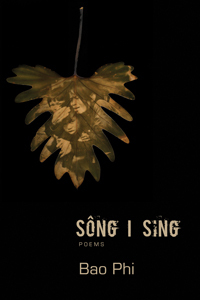 “Sông I Sing” does that as well as any poetry book I’ve ever read. It’s gorgeously angry, laugh-out-loud funny and I even teared up a couple of times while reading it. And again, don’t take my word for it—Jeff Chang, David Mura and Li-Young Lee all loved it too. Here’s a purchase link. I hope you'll check out both of these collections. They both remind me what poetry is capable of, and give me inspiration to keep writing, reading, listening and communicating. Maybe they will for you too.